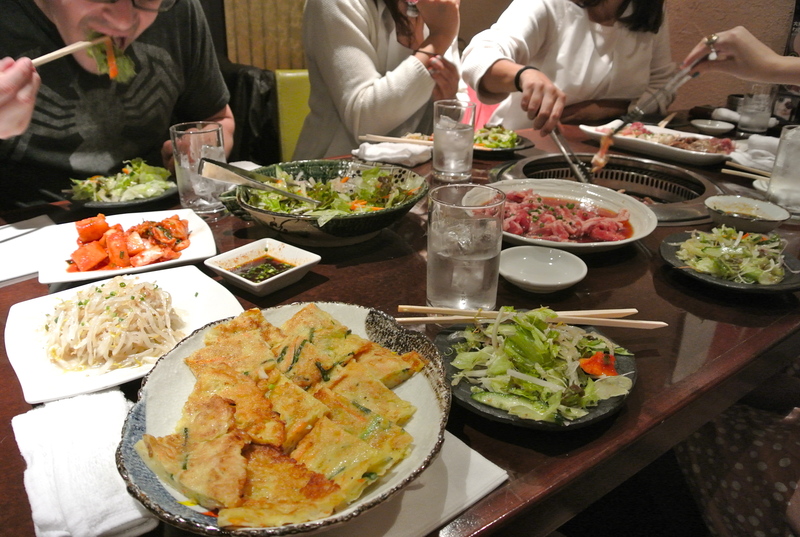 Japanese food, culture, and entertainment, from a gaijin who can't wait to go back. I’m a firm believer that food is art. In Japan, this is particularly evident in kaiseki ryori, a traditional multi-course dinner where each plate is as delicious on the eyes as it is on the tongue. 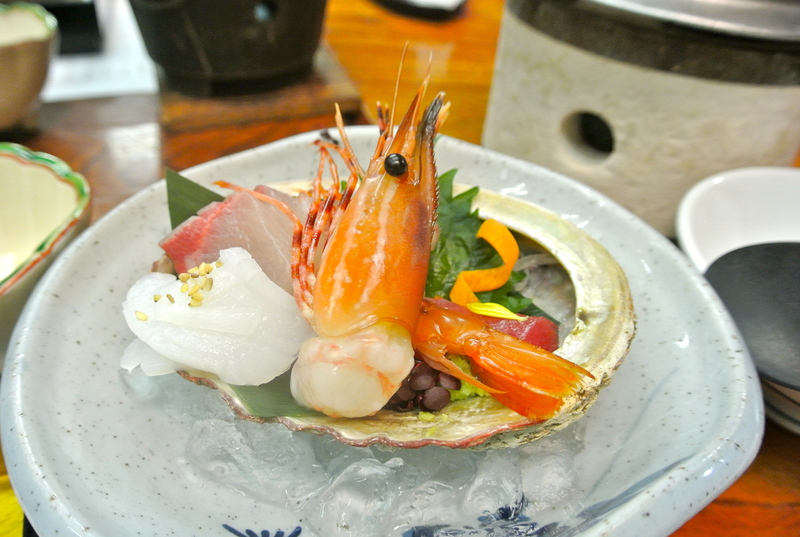 Kaiseki meals are generally served at ryokan, traditional Japanese inns, and are as finely prepared as those you might find on tasting menus in haute cuisine. 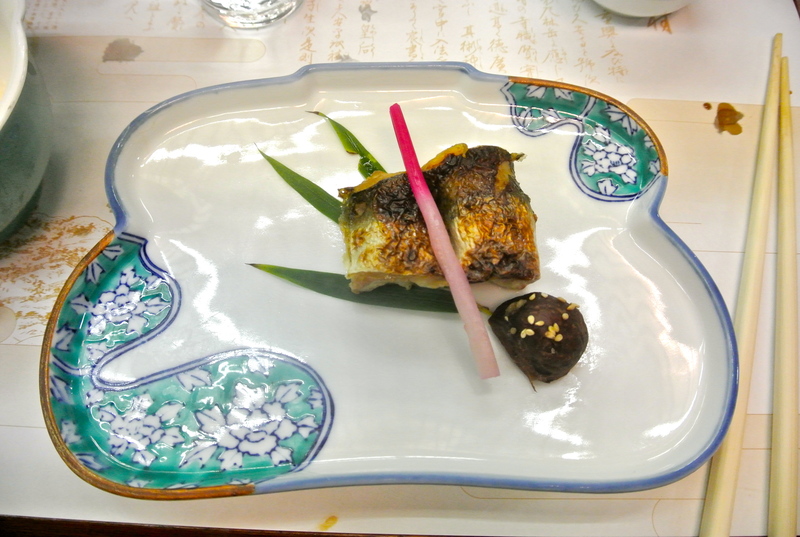 I tried kaiseki in a ryokan in Kyoto, and had a chance to experience just how beautiful this meal could be. Kaiseki are often described as a meal in harmony with nature, with both the expert flavors and beautiful presentation of the food reflecting the shapes, textures, and seasons found in the environment. 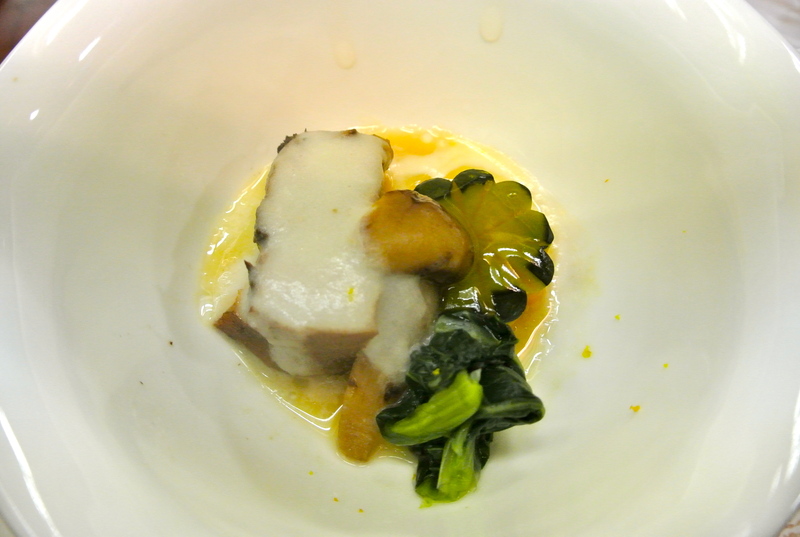 The plates and dishes are a reflection of nature as well, with different colors and shapes complimenting each course. Because I tried kaiseki in November, many of my courses were decorated for fall and included dishes appropriate for colder weather. Keep reading to see exactly what I tried, and how each course traditionally progresses throughout the meal. 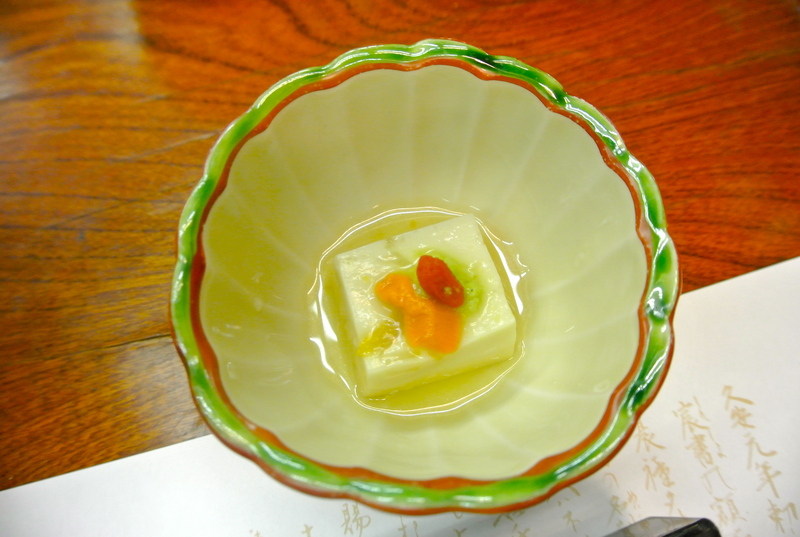 The soup course is usually a clear broth, with vegetables, seafood, or in my case, tofu. 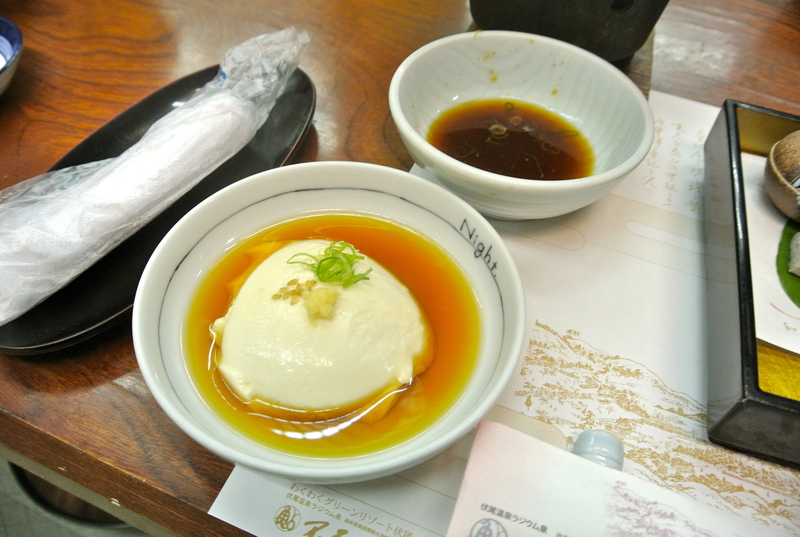 Shiizakana is often one of the larger courses of the meal. 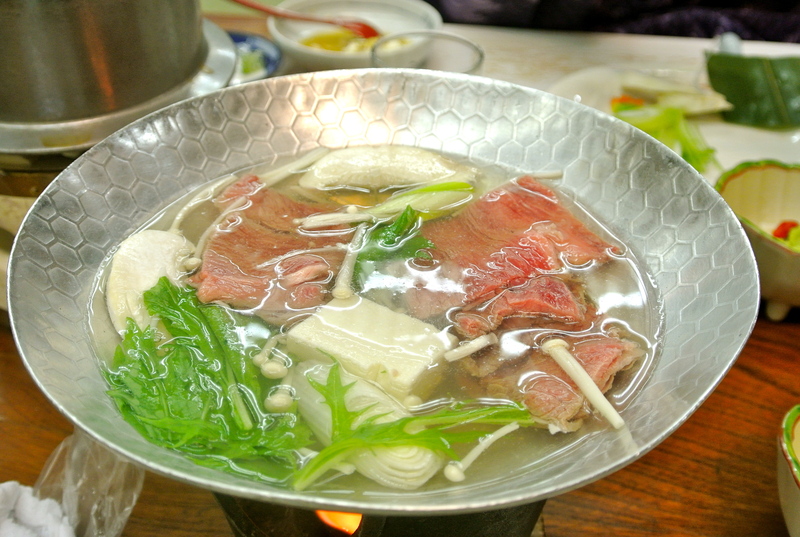 At my kaiseki, we had shabu shabu, or meat and vegetables simmered in broth. 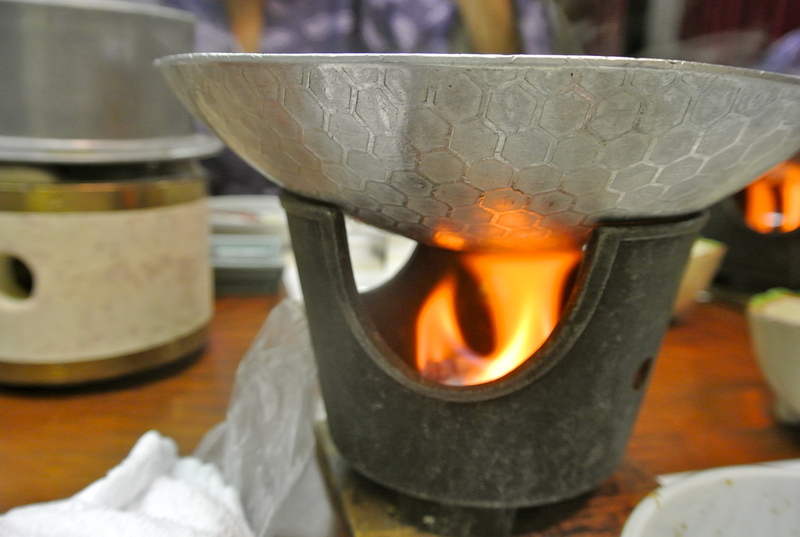 Each guest had their own personal stove to cook the shabu shabu in! 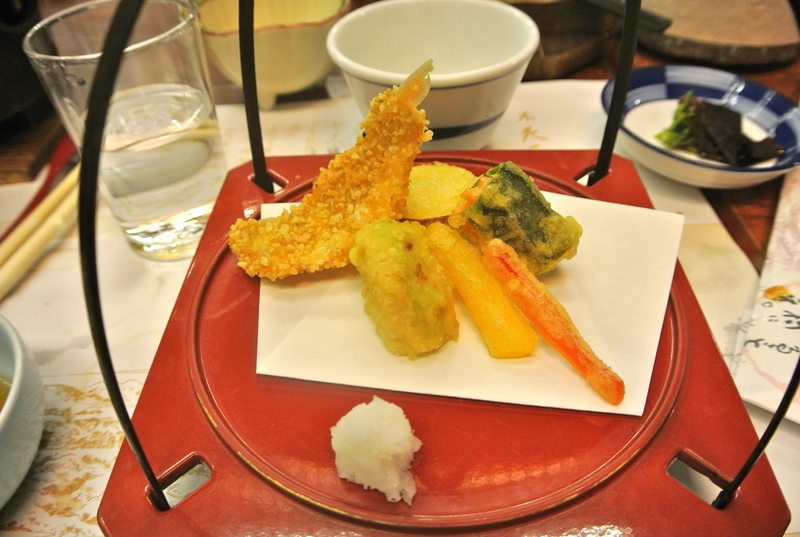 The deep fried dish is usually a selection of tempura, including fish and vegetables. It’s generally served towards the end of the meal. 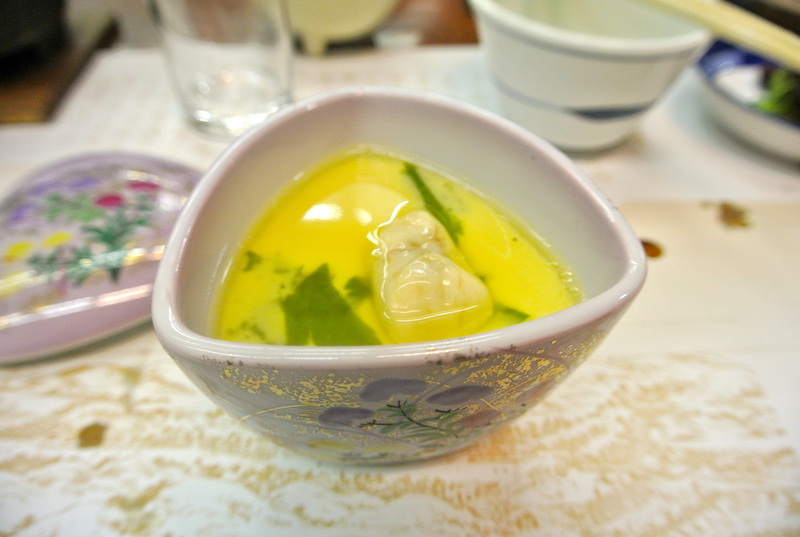 Kaiseki often offer chawanmushi for the steamed dish, a savory egg custard with fish stock, and bites of mushrooms, chicken, and seafood. 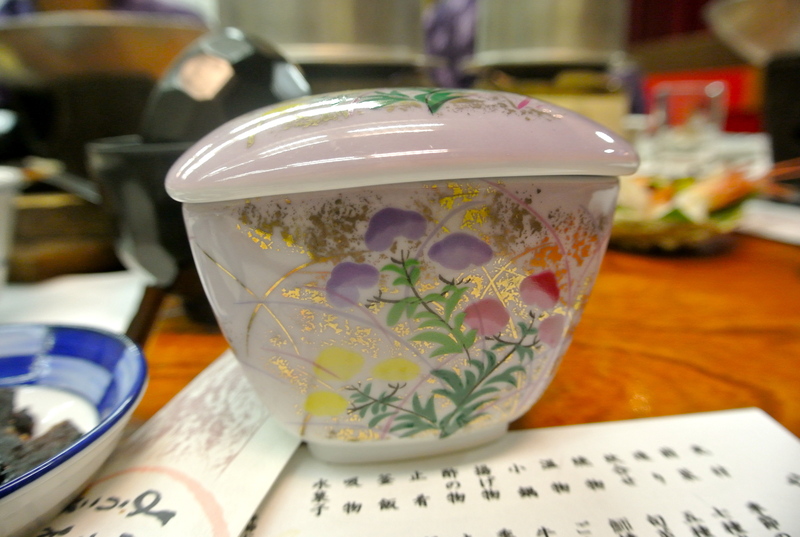 It’s served in a teacup-sized lidded dish and eaten with a spoon. Seafood and vegetables served in a vinegar-based sauce. This was probably my least favorite dish. Rice with seasonal ingredients. This course was also cooked in individual pots at our seats. 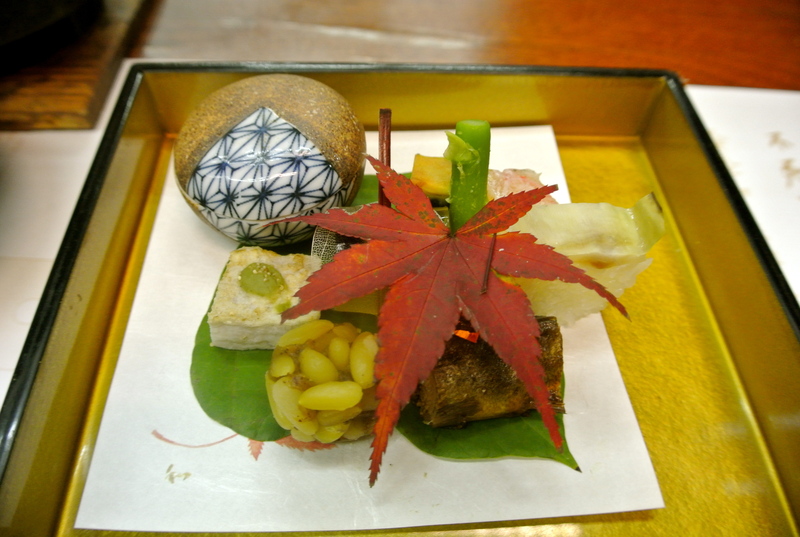 Dessert at kaiseki are typically light, and consist of a small confection or fruit. 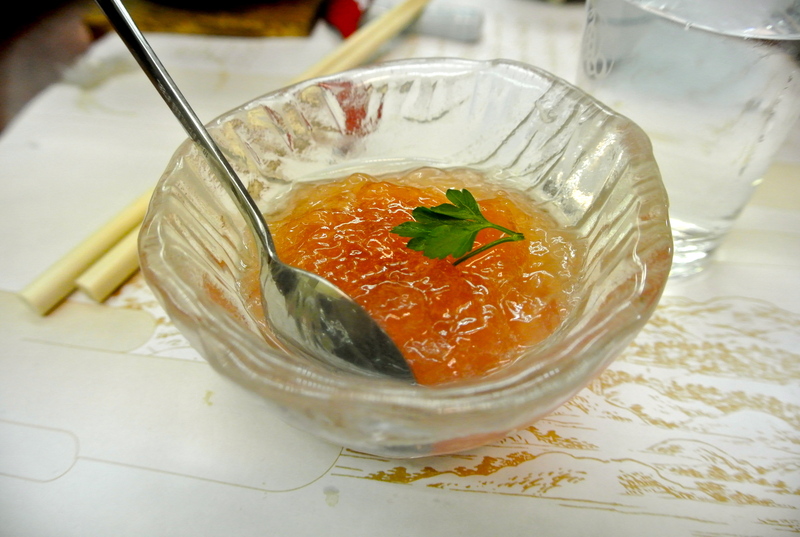 We were served a fruit jelly. 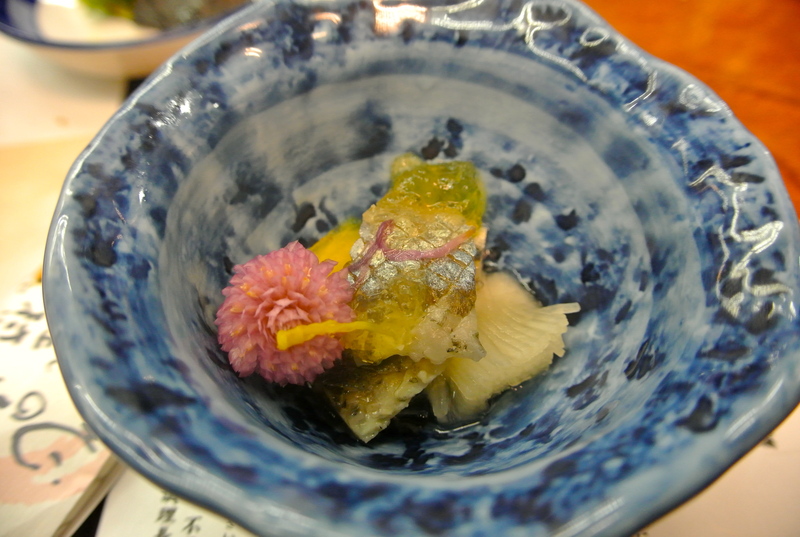 Because of the quality and number of dishes, kaiseki can get pretty expensive. At kaiseki with as many as 20 courses, the set can cost up to $500 per person. 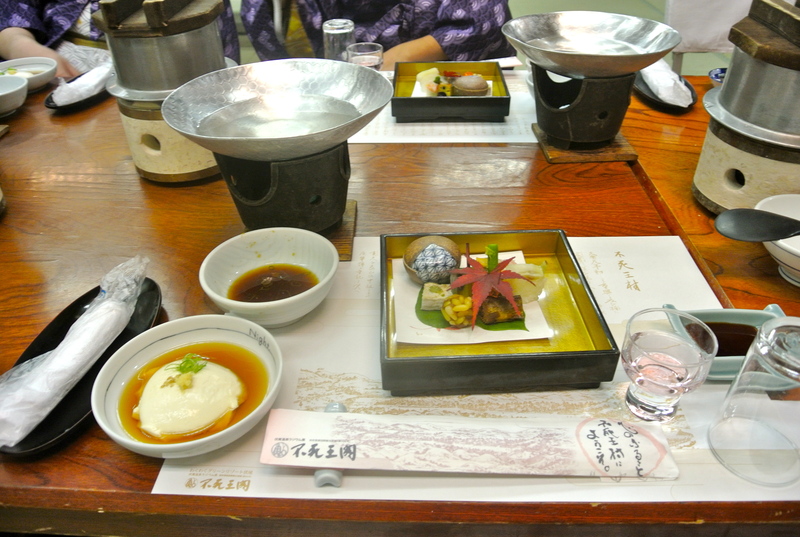 However, you can typically find kaiseki lunch sets or bentos for a heavily discounted price, with the only exception that the dishes all come at the same time, rather than course by course. 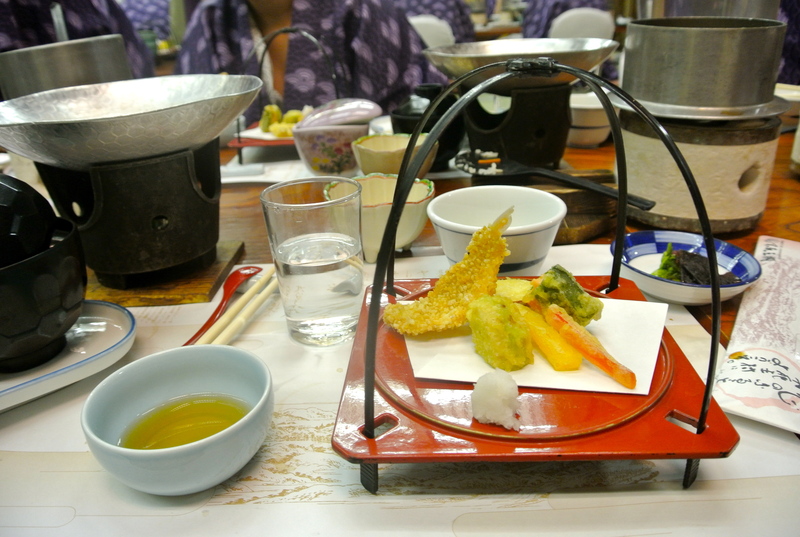 You can also get the kaiseki experience by staying at a ryokan (like I did), where the course meal is often included in the cost of your stay. Thanks for reading once again, and I hope I made you hungry! Japan has a real love for going to restaurants and cooking food themselves. I’m not exactly sure why (isn’t the point of going out to eat so that you don’t have to cook? ), but it’s certainly a lot of fun. With a group of friends, shared dishes, and the possibility of lighting your sleeves on fire, it’s really neat to try cooking delicious food yourself without the hassle of prep work. 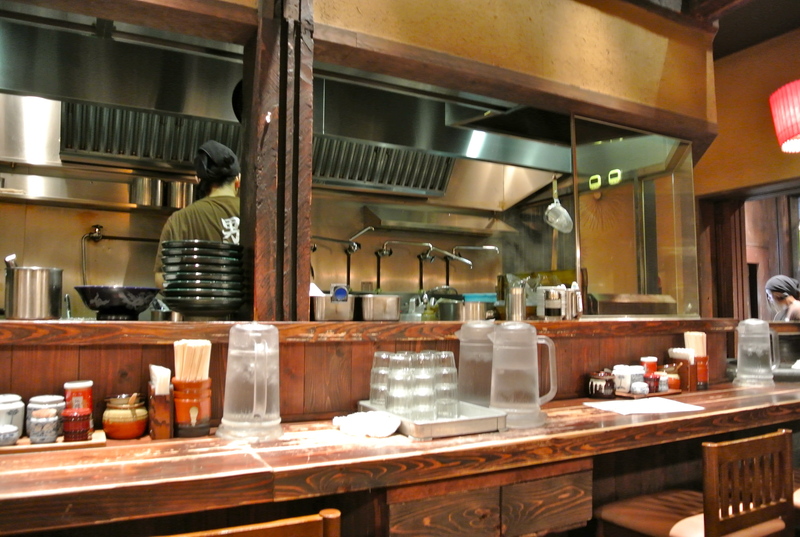 Although you can rarely find these types of restaurants in America (I’m sure people are afraid of lawsuits), there are several types of cook-it-yourself dining experiences in Japan. 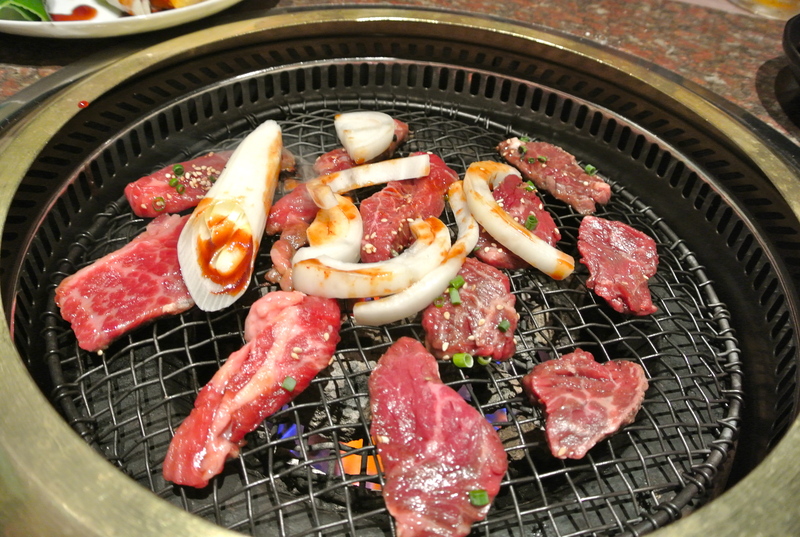 Today, I want to show you Japanese yakiniku (grilled meat), and introduce you to one of my favorite meals while I lived in Tokyo. 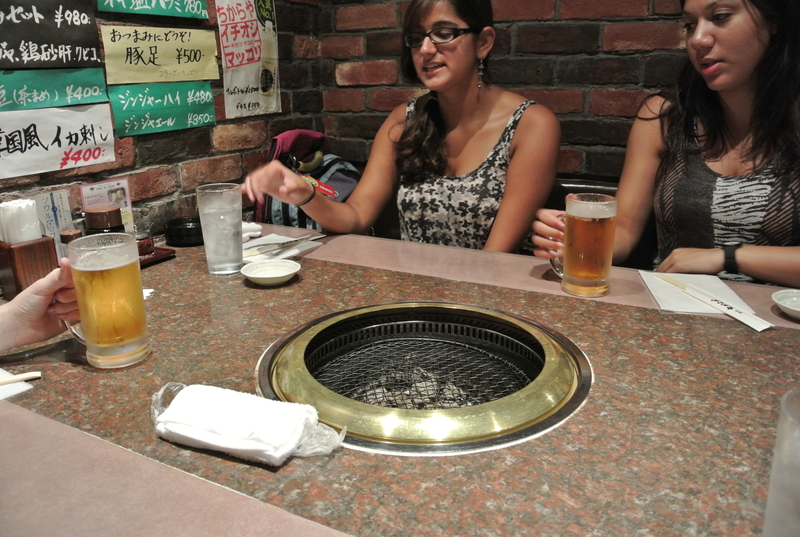 At yakiniku restaurants, guests sit at tables with a small charcoal grill built into the tabletop. It’s not hot when you when you sit down, so no one risks setting themselves on fire. Later on, your server will spray the grill with oil and light the flames so that it’s hot by the time your dishes come out of the kitchen. 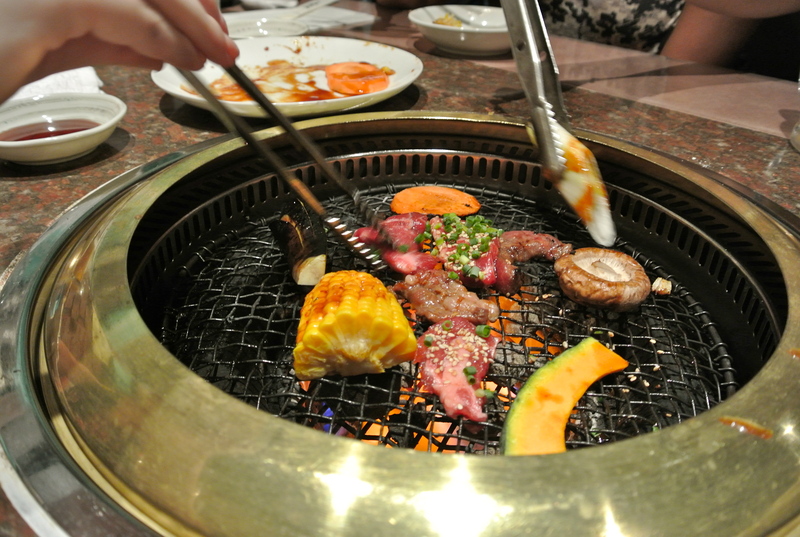 Yakiniku menus offer a variety of meats and vegetables that are seasoned or marinated in many delicious sauces. If you want a little of everything, a lot of restaurants offer a set meal to share, often with steamed rice. If you’re more adventurous or know exactly what you want, you can also order items a la carte. 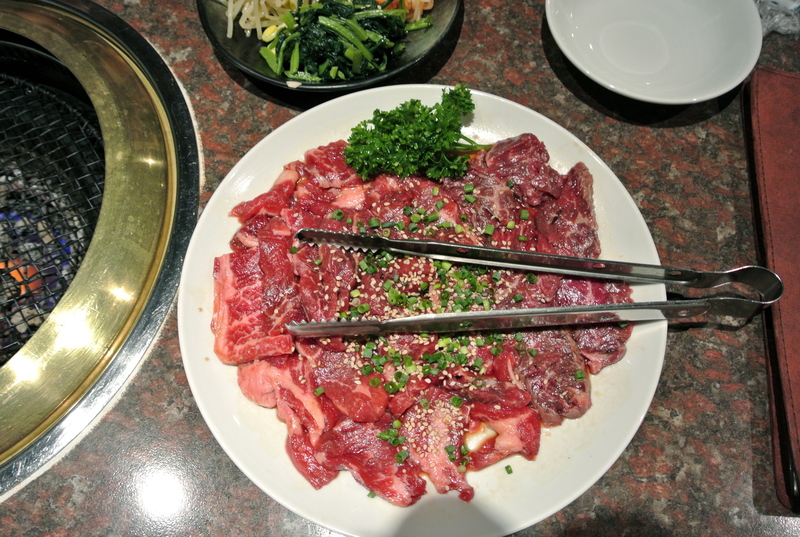 Some of the most popular meat choices include kalbi (boneless short rib), harami (tender beef from around the diaphragm), beef tongue, chicken, various seafood, and pork belly. Mushrooms, onions, kabocha squash, corn, and peppers are also commonly available for vegetables. If you want to get a little more daring, you can also find a lot of organ meat as well- including heart, liver, intestine, tail, tripe, and stomach. The meats and vegetables come to your table raw and cut into bite-sized pieces. The server will tell you how long each meat needs to cook, and then it’s time to start grilling. Using tongs, you put the raw meat onto the grill and cook to your heart’s content. There are usually several different dipping sauces to choose from on the side, including ponzu (citrus soy sauce) and spicy chili oil. 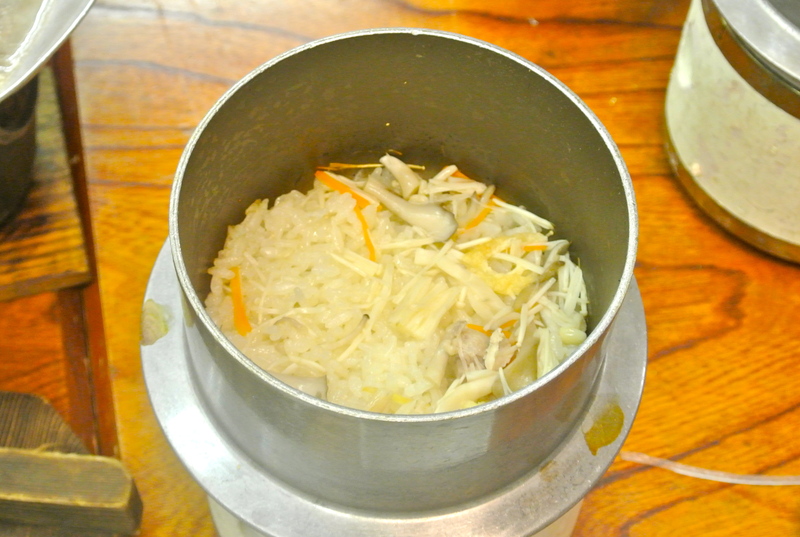 Most restaurants will also offer steamed rice or other side dishes to help fill you up. I enjoyed marinated bean sprouts and seaweed with one meal, while another yakiniku restaurant with a Korean influence had a vegetable omelet, kimchi, and salad. 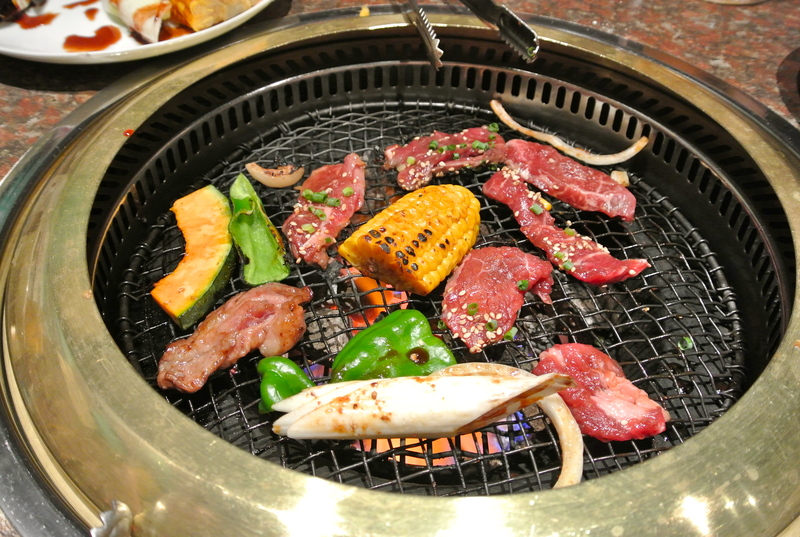 Japanese yakiniku is a ton of fun if you don’t mind a little work, and extremely delicious. All the meat is super tender and marinated in amazing sauces, from miso to barbeque. And you know what’s awesome? You don’t need to go to Japan anymore to enjoy this awesome experience! 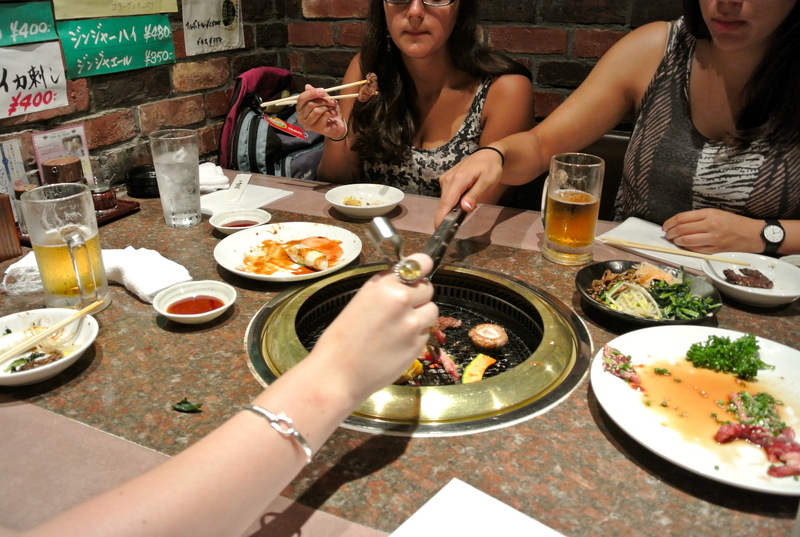 Gyu Kaku, a Japanese yakiniku chain I actually ate at in Tokyo, has restaurants all across the US! There’s one right down the street from where I live in Boston, and it’s just as delicious as the yakiniku in Japan. Plus, they offer s’mores as dessert…it’s seriously too hard to resist. I hope I made you hungry today! 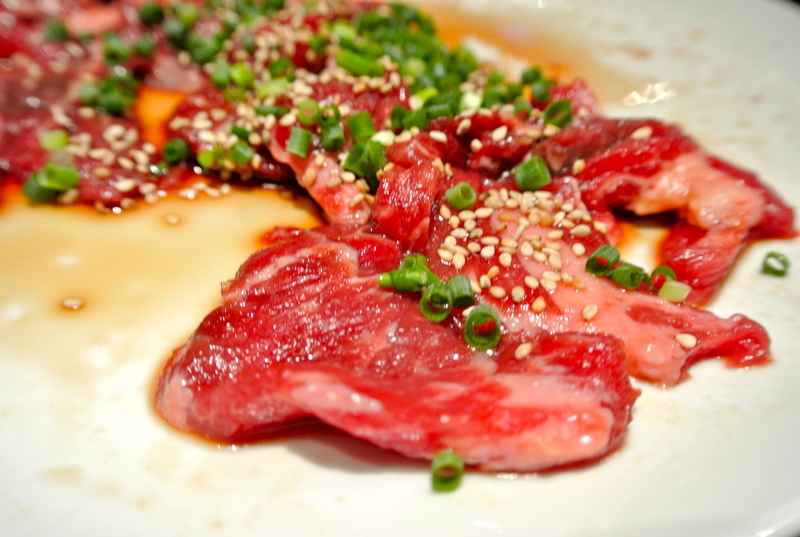 Would you try yakiniku, or are you afraid of cooking your own food? I want to begin this post by saying that those who haven’t tried authentic Japanese ramen haven’t really lived. Now, I’m not talking about those freeze-dried noodle chunks you can find for 50 cents in the grocery store (although those can be delicious), but the savory, perfectly balanced noodles served fresh with meat and vegetables. In Tokyo alone there must be hundreds of ramen shops, all with their own unique approach and styles of ramen. These noodles aren’t just a popular dish. 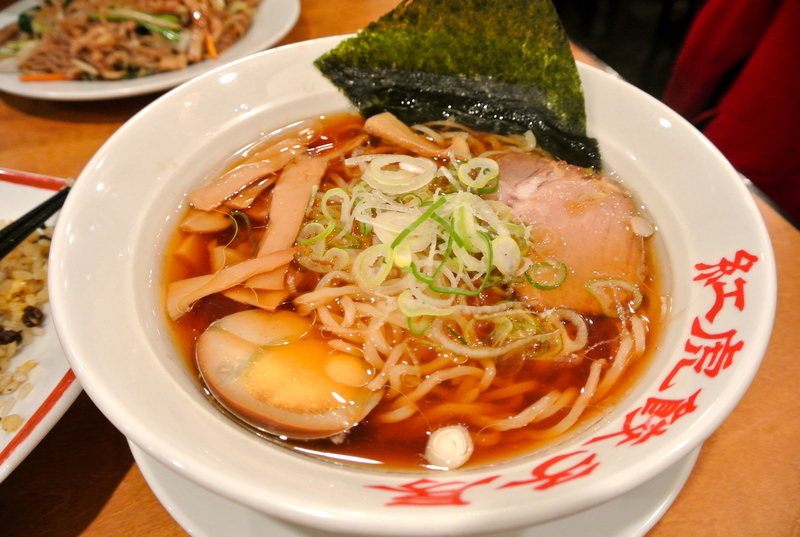 Ramen is a countrywide delicacy, an art form, and a huge cultural phenomenon. My favorite ramen from Japan. 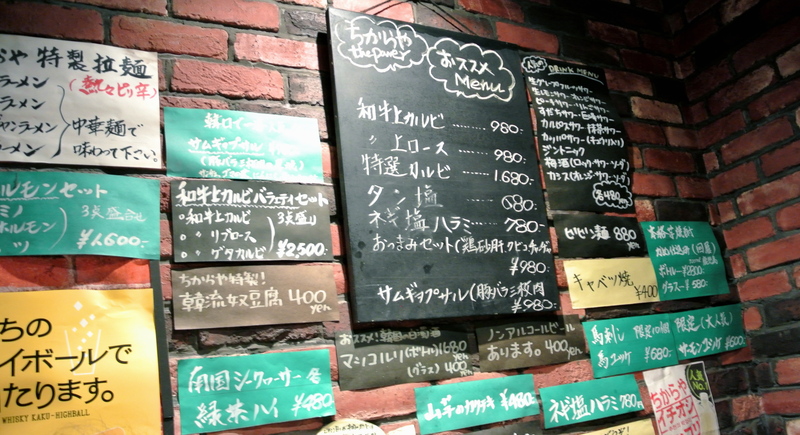 This shop was located in Shibuya, and I ate there after class all the time. 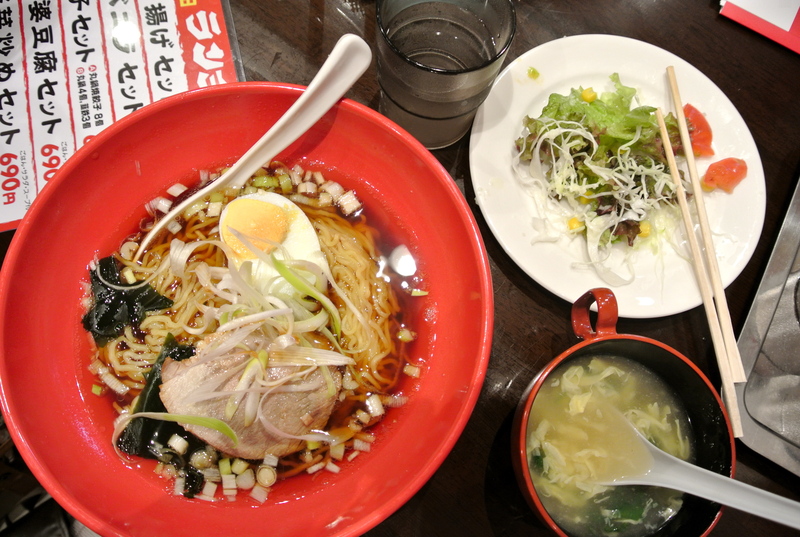 I ate ramen at least once a week while I was in Japan, and I never got tired of it. It’s sometimes called gakusei ryori (student cuisine) due to its cheap and filling nature, but even foodies of Japan go to great lengths to grab the perfect bowl. On my way to school, I often passed a popular ramen shop called Ramen Jiro that had lines wrapping around the block at 8 am…. and the restaurant didn’t even open until 11! 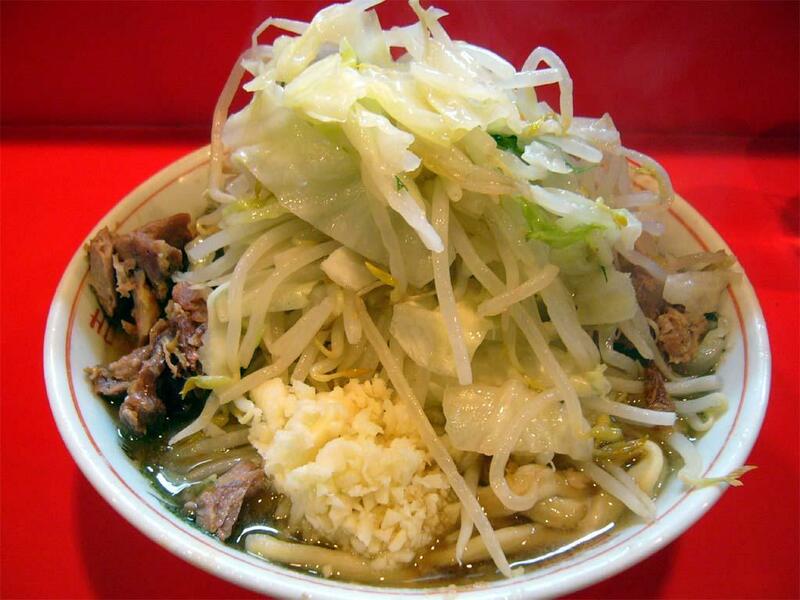 Ramen Jiro has a cult-like following in Japan. 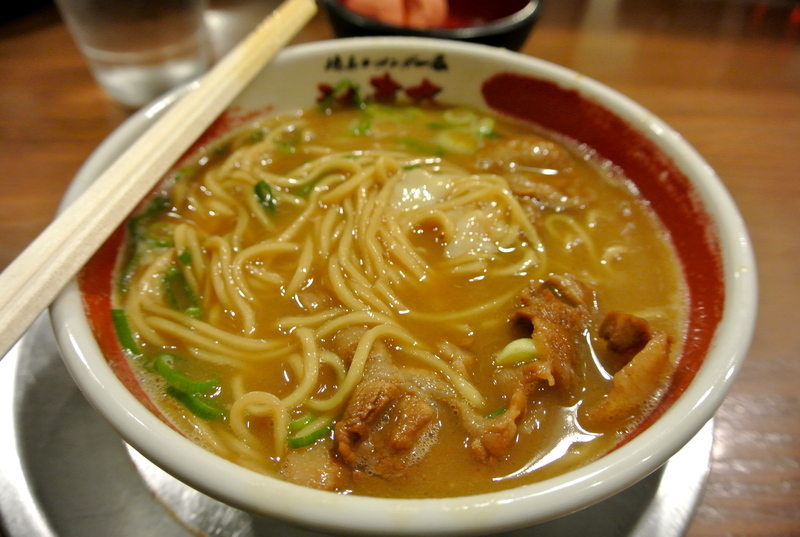 It’s known for its insane portion sizes, fatty broth, and heaping toppings of pork belly, garlic, and vegetables. I never got to try it, but I did go to school right near its original location in Mita! 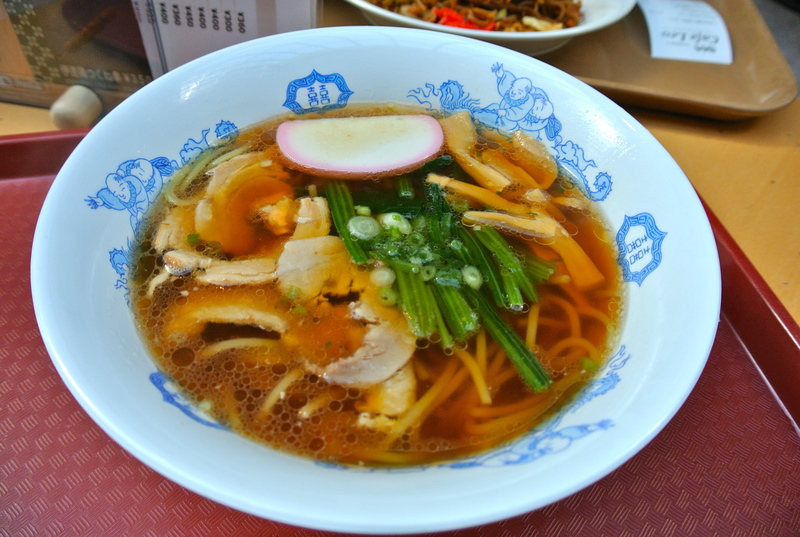 Different areas of Japan are known for different styles of ramen, each with unique broths and toppings. 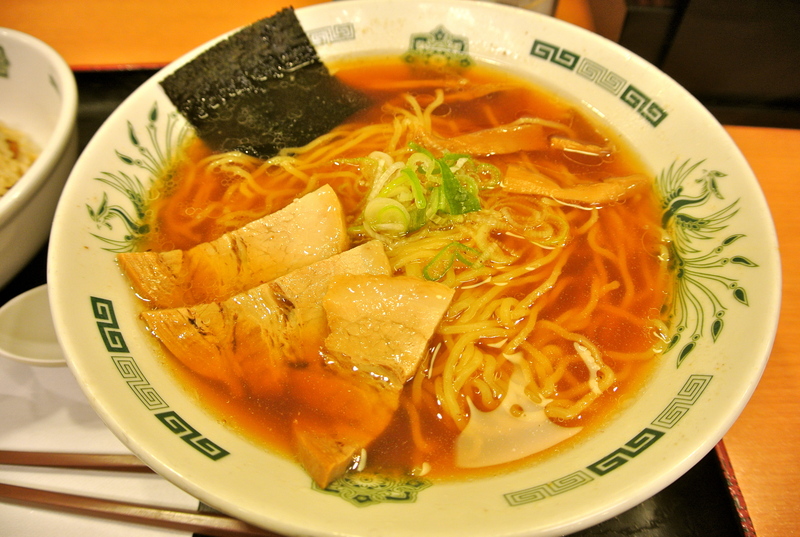 Sapporo style ramen, for instance, has a rich broth and is topped with corn and butter, while Tokyo style ramen has a soy and dashi (fish and seaweed stock) based broth with bamboo shoots and green onion. Tomato ramen from a specialty ramen shop. 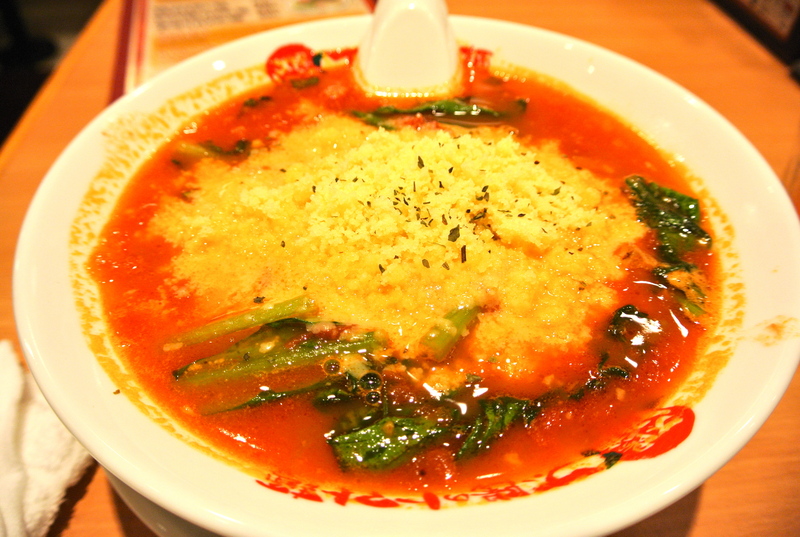 The tomato-based broth was filled with angel-hair like ramen noodles, bok choy, and a giant heap of parmesan cheese. Typically, there are 4 types of broth, including shio (salt), shoyu (soy sauce), miso (miso paste), and tonkotsu (pork bone). 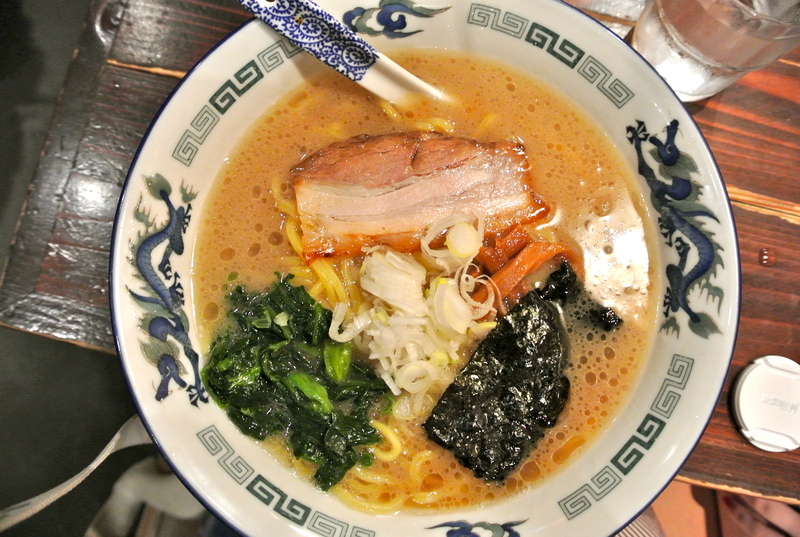 Depending on the style of the dish and type of broth, ramen can be topped with a countless number of different ingredients. 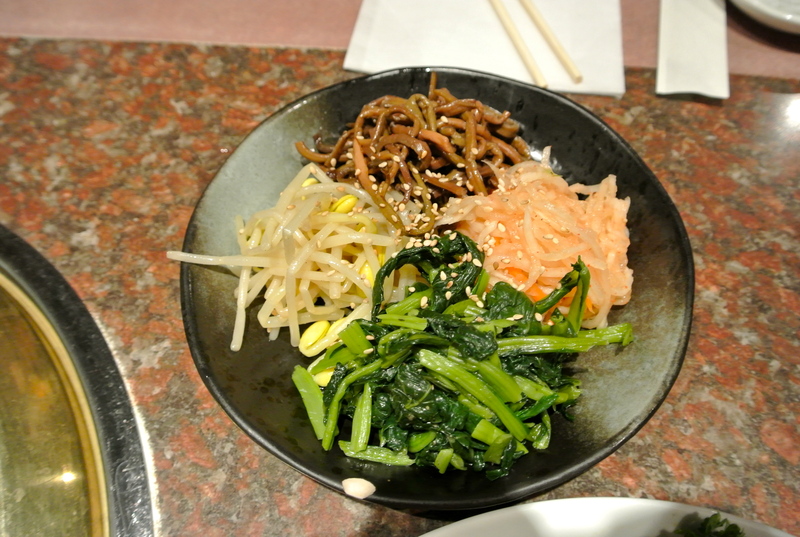 Some of the most popular include nori (seaweed), bamboo shoots, scallion, leeks, garlic, bean sprouts, egg, and fish cake. Tonkotsu ramen from Osaka. Notice the cloudy, rich broth. This was by far my favorite type of ramen. 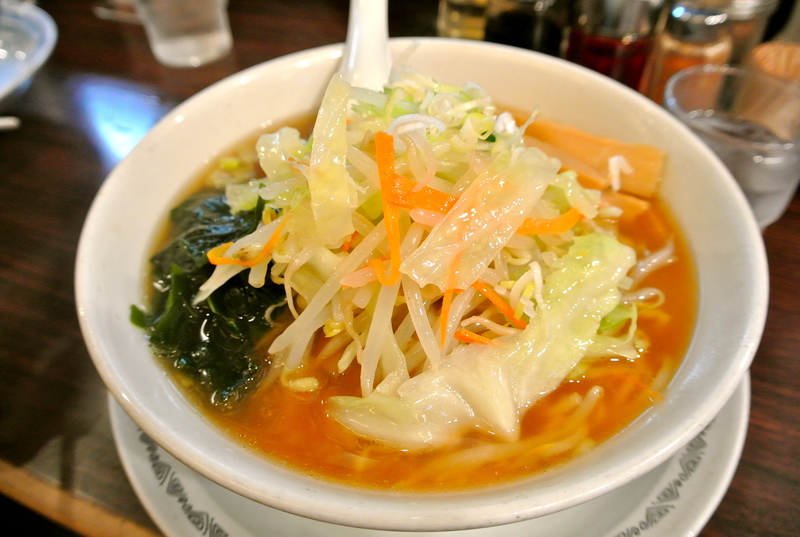 Ramen is originally a Chinese dish, so it’s easy to find in Chinese restaurants across Japan! 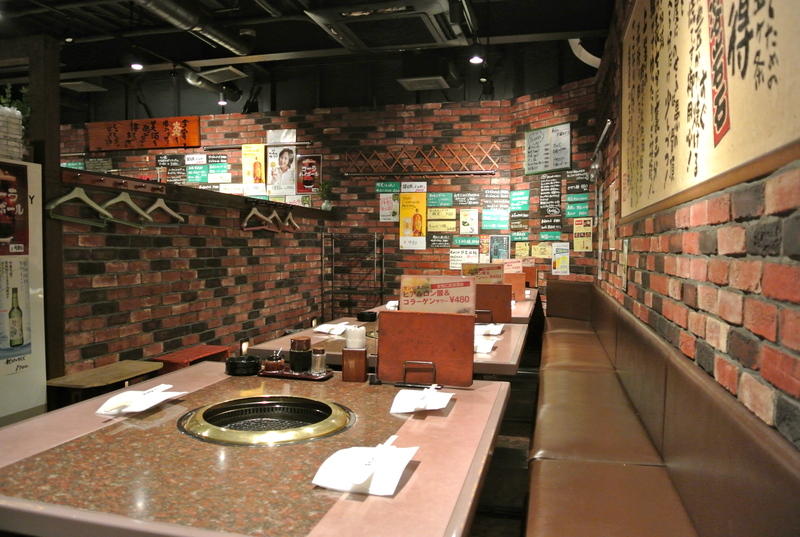 Ramen shops are typically very small, and only have seats at a counter or a few small tables and booths along the wall. Because of this, the shops fill up quickly and customers only stay long enough to eat their ramen before they go. 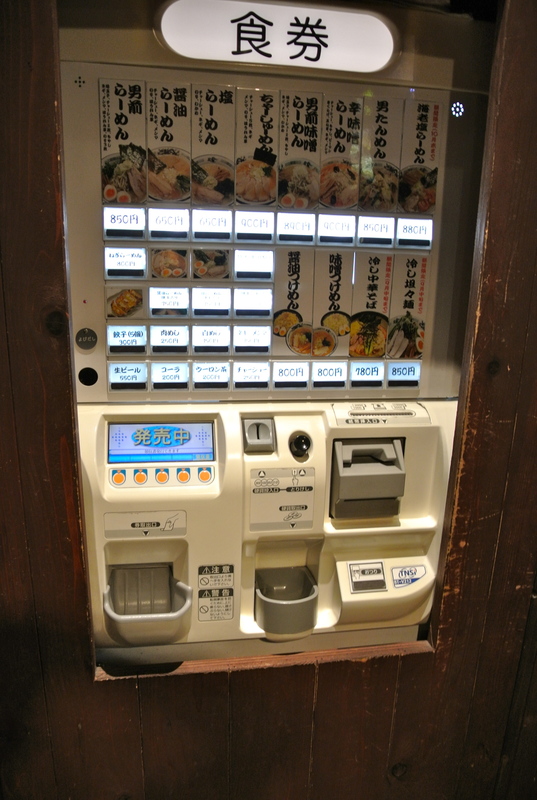 To expedite the process even more, customers often pay for their food before they enter the restaurant using what looks like a vending machine. 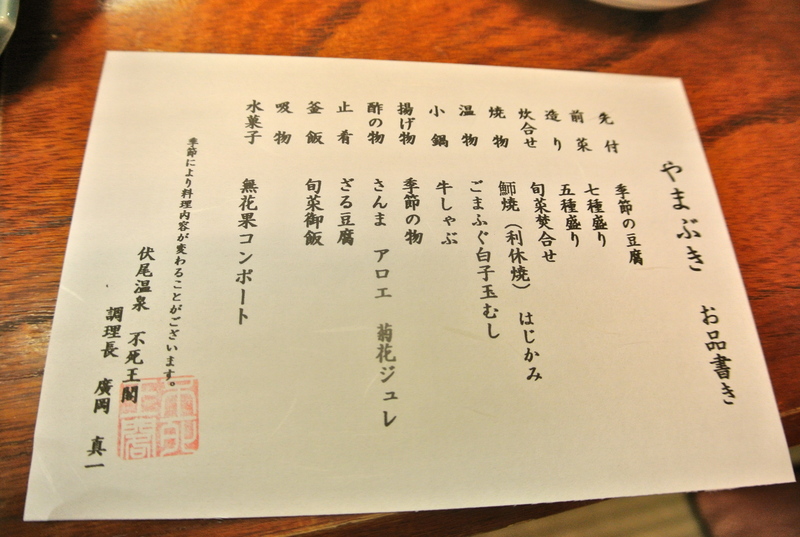 The guests enter their money, choose the type of ramen they want, and receive a small ticket that they hand to the chef. Here’s how I paid at my favorite ramen shop! You simply insert your money, choose the type of ramen, and get a ticket! Ramen is great on cold days, when you’re sick, or you’re just looking for a great meal. It’s definitely the dish that I miss the most from Japan, as it’s hard (but not impossible!) to find authentic ramen in the United States. My favorites so far have been Pikaichi in Boston and Terakawa in Philadelphia. My last ramen in Japan, at Narita airport. This was a sad day. Ramen from Terakawa in Philadelphia, courtesy of my Instagram account. What about you? 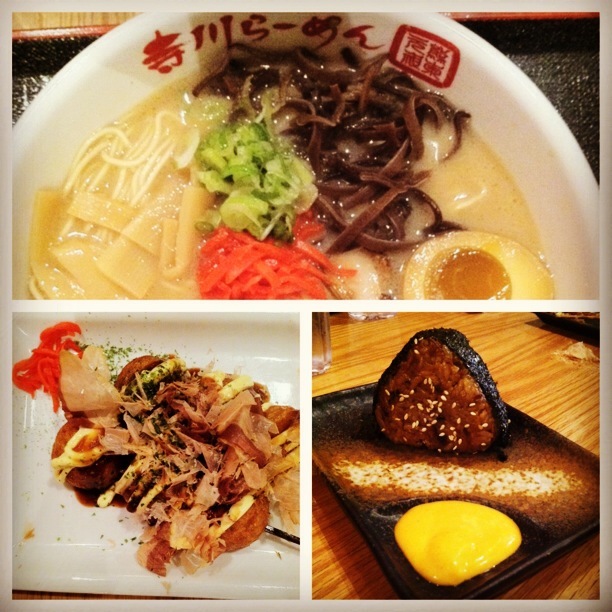 Where do you get your ramen fix? And more importantly…did I make you hungry yet? Can't wait for the next post? Enter your email address to subscribe to Tokyo Trendy and receive notifications of new posts directly in your inbox.